Purchase Non-GMO All-Natural Turkey Wholesale From Sunrise Farms. Easily purchase frozen and seasonal fresh all-natural turkey wholesale. Whole turkeys are available for pick up at the Sunrise Farms storefront or through convenient regional meat delivery. Taste the quality in our all-natural turkeys, raised on non-GMO feed in pesticide-free pastures. We offer a 10% discount for wholesale purchases. For Thanksgiving, Order Fresh All-Natural Turkeys By September. 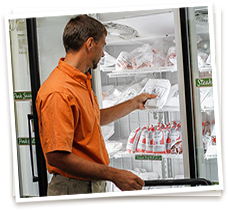 During the year we provide frozen all-natural turkey wholesale for purchase in our storefront. 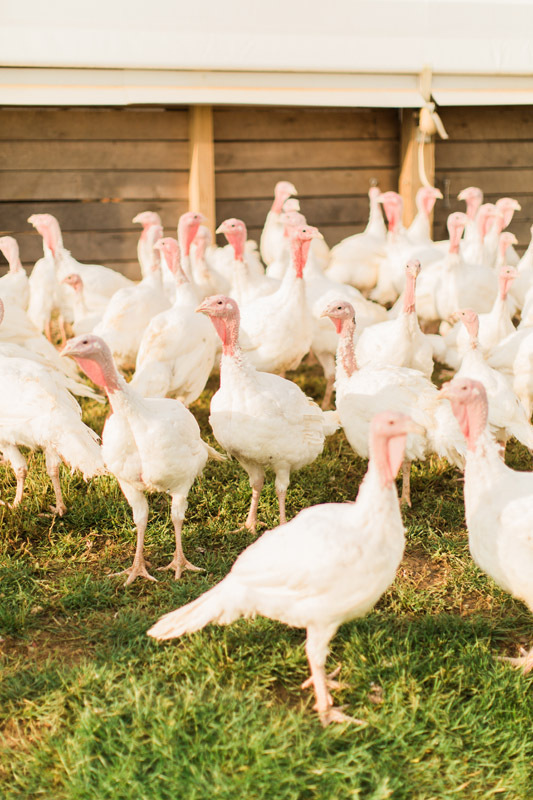 Pre-order fresh whole turkeys from our non-GMO farm for Thanksgiving. We begin taking wholesale fresh turkey orders in late summer. Wholesale purchases of frozen whole turkeys are available in our storefront and regional meat delivery throughout the year. 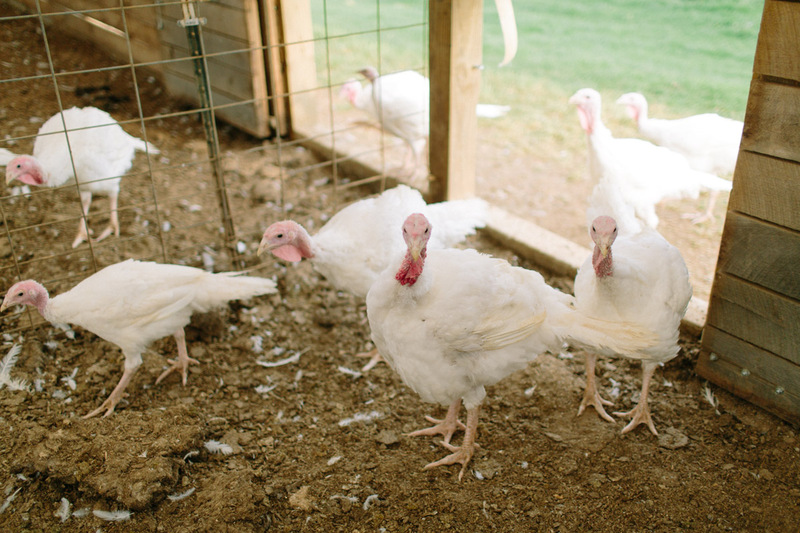 Our All-Natural Turkey Are Free-Range On Non-GMO And Pesticide-Free Pastures. Our turkeys naturally forage in non-GMO and pesticide-free pastures as part of intensive grazing practices. We encourage their natural behavior to control bugs and fertilize the grass. By employing ethical farming practices, we provide turkeys with integrity to supply your retail or commercial enterprise. 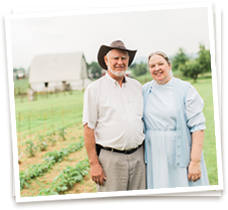 Sunrise Farms is a non-GMO family farm that believes in transparency as a means to building trust with our customers. Experience The Sunrise Farms Difference. Farmers who are experienced in poultry care tend daily to our turkeys. Rich-tasting meat results from raising our turkeys on an all-natural diet of non-GMO feed with plenty of exercise and freedom to forage. By providing feed that suits the natural eating schedule of the turkeys, we neither overfeed or underfeed our poultry. Retail and commercial wholesale customers taste the quality of our turkeys and return time and time again, which is one way we measure success. Contact Us To Purchase Non-GMO All-Natural Turkey Wholesale Today.